Welcome to the 21st century where technology is just better, but can also be more complex. If you’re struggling to understand the telephone system of the new age, VoIP, and its equipment needs, you’re not alone. Many people just don’t get it yet—and those who do are, simply put, winning. Why are hardphones called hardphones and softphones called softphones? A hardphone is a piece of hardware that you can make phone calls with, and a softphone is software that you make phone calls with—hence the names. 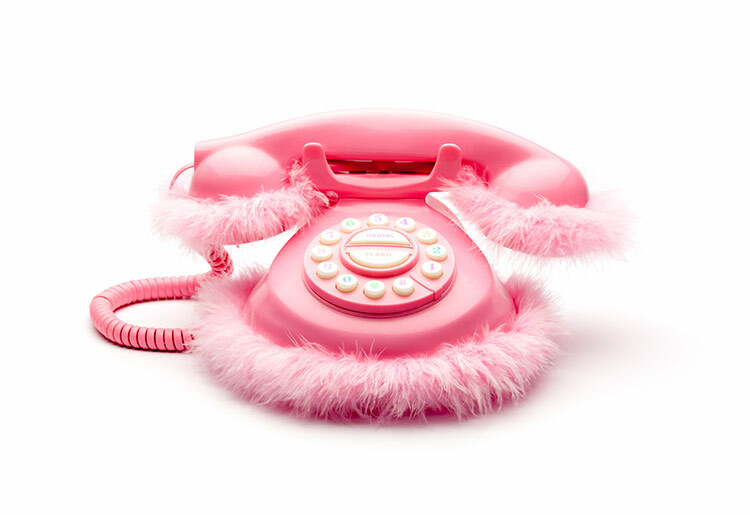 So, no, softphones are not necessarily soft and fluffy to the touch. A smartphone is a hybrid of both—it’s a piece of hardware that, if you put a software app on it, can function as a softphone. If you’re thoroughly confused at this point, don’t worry. Let’s take a deep dive into the differences between these two types of VoIP phones—and the advantages of each. Hardphones looks like telephones, feel like telephones, and in many ways acts like telephones, but they are actually powerful computing devices. Picture one of your employee’s workstations. Now imagine you’ve installed a hardphone at that workstation—it has a receiver, cord, dial pad, and a small screen that displays data like incoming or outgoing numbers, just like a normal phone. But calls are routed through the internet, over the VoIP server, enabling additional functionality that traditional phones don’t—like sending voicemail or call recordings as an attachment to the employee’s inbox or integrating with your company’s unified communications (UC) solution. 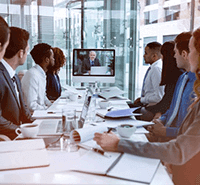 A good UC solution integrates communications across different media—including voice, video, chat, data sharing, fax, and other formats—so that a message sent on one medium can be received on another. Because all VoIP systems are web-based, hardphones must be connected through a web interface. Let’s say you’re setting up extension #101: you’d give that extension a username, password, and other settings, and your employee would then use those settings to access their phone, voicemail, and other features. Softphone is the name given to any software that enables voice-over-IP audio communication on a computing device. In other words, when you place calls over the internet through a regular computer, you’re using a “softphone,” because you’re using a software program as the phone. 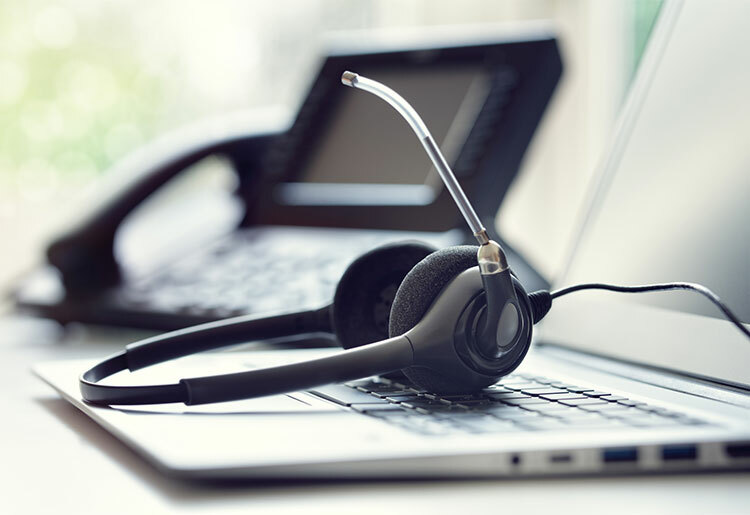 A headset can be used to connect to VoIP software, making the whole system a "softphone"
The top VoIP service companies offer Softphone for Windows, Softphone for Mac, and so on. Like a hardphone, you can set up a softphone at an employee’s workstation or on their phone and have them make all calls through it. The only difference to a hardphone is they’ll be speaking through a headset attached to their computer or phone (or through their speaker if nobody else in the office or on the train minds hearing their entire conversation!). Any app or client that lets you make calls over IP is a softphone, whether it be as simple as Skype for Business or as function-packed as the enterprise-level solutions offered by the likes of Vonage and 8x8. The best softphone apps unify all your communications—including voice, video, chat, data sharing, and fax—within one software interface. Staff can take their softphone everywhere they go. They can install the same software on their smartphone to turn it into a mobile VoIP device. That way, they can make and take calls—and other communications—from remote locations with all the same functionality as if they were in the office. The number that displays to the caller on the other end will even be their usual office extension. Hardphones are the superior option for an office environment, and you can easily install one at each workstation. They generally offer better audio quality, although keep in mind that the audio on both hardphones and softphones can be affected by your internet quality. Softphones are best for companies with a remote workforce or with employees that split their time between the office and the outside world. Employees can install softphone apps to multiple devices, including desktop, tablet, and smartphone. As long as they’re connected, they can make or receive calls and access their contacts and voicemail from anywhere in the world. Good for static environments, such as an office desk. Good for everywhere, at a desk or on the go. Business that do most business in-office. Call center operators, businesses on a low budget, and anyone who does business on the go. If your office uses softphones, all you will need to consider purchasing for users are headsets. You could buy cheap headsets for a couple of dollars or spend hundreds on the latest equipment, but at the end of the day the only requirement is that it connect to a USB port. You could also end up paying nothing at all for equipment—if your employees connect from their mobiles, no extra equipment is required. Major manufacturers of hardphones include: Netgear, Panasonic, Polycom, X-lite, and Yealink. These babies go from anywhere from $50 to $500, although if you buy them in bulk through your VoIP service provider you may be able to get them for less. And some offer free deals, such as OnSIP and 8x8 that currently both offer free hardphones with purchase. There you go. Now you’re a few steps ahead of the average telephone user of the 21st century. 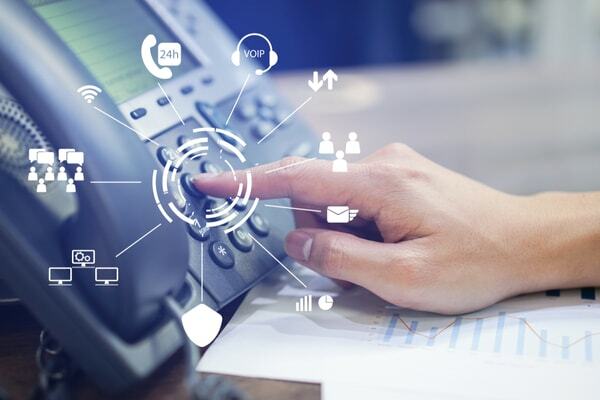 For more information about VoIP here is a great article about 10 VoIP Terms You are Using Wrong, and if you’re interested in taking the plunge, check out our comparison of the top VoIP providers of 2019.